Tilda Swinton stars as Eva, a forty-something woman who wakes up one morning to discover that her small, rickety house and battered car have been smeared with bright red paint. Annoyed but determined, she cleans her windscreen enough that she can drive and heads into town, where she gets a job at a thoroughly depressing travel agent. Happy with her new employment, meagre though it might be, she walks out on to the street and is promptly punched in the face by a woman she encounters. This series of events sparks off a slew of flashbacks as she looks back over the actions that led to her current situation. Or, more accurately, the actions of her son, Kevin (Ezra Miller), who committed a massacre at his school. We Need To Talk About Kevin is at its strongest during its opening forty-five minutes, during which director Lynne Ramsay (making her first film since Morvern Callar in 2002, having spent much of the time in between trying to adapt The Lovely Bones before being replaced by Peter Jackson) creates an abstract and impressionistic examination of Eva's guilty state of mind. Jumping between multiple points along Kevin's development from screaming baby to brooding mass-murderer, the film builds a tremendous sense of purpose as images, items and behaviours repeat over and over, each time accruing meaning and power. The associative editing style gives the film the feeling of memory, a sense which is only heightened by Ramsay's focus on sound and texture to create sensory bridges between the different times. It's a heady, ambitious and atmospheric experience that plays to Ramsay's considerable strengths as a conveyor of mood and ambience as a means of storytelling. Emotions are implied by the sights and sounds - particularly Jonny Greenwood's score - rather than stated, and it is that elusiveness that makes the film fascinating. It's also during this section that Tilda Swinton does some of the finest work of her career. She plays Eva as a complicated, frustrating woman who is uncertain about how her parenting shaped her son, but who clearly feels complicit in his killings to at least some degree. At the same time, she never makes her an easy character to like. She allows flashes of the bitterness and resentment that Eva feels towards Kevin - an unplanned child who she on some level blames for ruining her life - and she never goes the easy route of softening the character to make her more palatable. Swinton's icy, ethereal qualities are used beautifully throughout, particularly whenever she interacts with her husband (John C. Reilly), who has no conception of the cruelty and malice contained within the child he has helped raise, and with Jasper Newell and Ezra Miller as Kevin at different ages. In both cases she seems out of place and uncomfortable, aware that things are bubbling under the surface but uncertain what those things may be. Whilst the film is so strong when it is being impressionistic, it falters considerably whenever it has to make things concrete. For its first two thirds the film creates an idea of what is happening, who the characters are and where the story is heading without being explicit. Even the violence, which I am told is pretty eye-opening in the novel, is kept off-screen, left to fester and grow in the minds of the viewers. It is compelling because it leaves enough room for the audience to fill in the details, rather than explaining everything right off the bat. However, having spent two-thirds of its running time showing without telling, the last third is devoted almost solely to filling in the blanks that the audience had already filled in long ago, making it all feel rather rote and redundant; They have already reached the conclusion and are just waiting for the film to catch up. 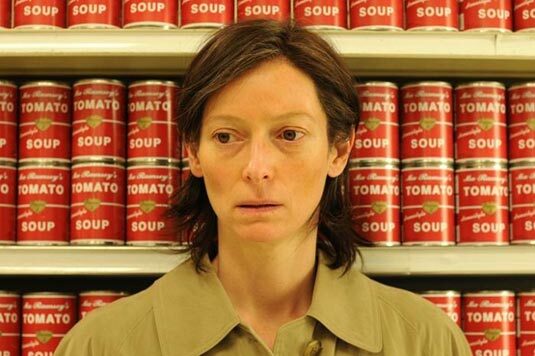 Considering how long she has been away, We Need To Talk About Kevin is not the unequivocal triumphant that I was hoping for from Lynne Ramsay. It never matches the invention and audacity of its opening, the last third feels expositional in comparison to the elliptical first two, and many of its admirable qualities undercut each other. However, it is still a very good film that marks a welcome return for a director who has spent too long in the wilderness.